At Express Waste, we pride ourselves on having the right sized bin for the right application. We will work with any business with a waste requirement - from small companies through to large national and multinational organisations. Whatever your commercial waste management requirements are, across Greater Sydney and interstate, choose Express Waste for peace of mind, on time, every time. Do you have general light household or commercial waste? Express Waste’s General Waste bins can handle any size job – big or small. We are specialists in commercial and industrial waste services, including transport of hazardous waste, liquid & sludge waste, non-destructive digging waste & organic waste. Do you need something else? It's not a problem at all! We have a design team that can a develop a custom bin to suit your individual site and waste type. Pellentesque vitae eros et massa posuere sollicitudin sit amet id lacus. Nam nec felis ac dolor efficitur volutpat vitae sed ligula. 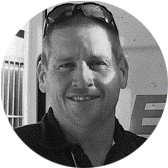 As the Managing Director of Express Waste, Wes is accountable for all aspects of the business operation. Wes oversees the operational and financial performance for the business. Ken is the Founding Director of Express Waste. 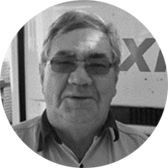 He has over 40 years in the transport industry with more than 30 years’ experience dedicated to the provision of total resource management solutions to clients. 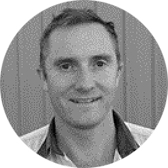 Tommy is our Operation Manager, with over 18 years of experience working with tier-one clients. He has capabilities across the total service delivery cycle for waste management & assists clients to implement the right solution for their business.